This is a work in progress, still needing some finishing touches. Brimo is a goddess of transformation, even healing, eating and purging what needs to go. She can also be used for works of justice. 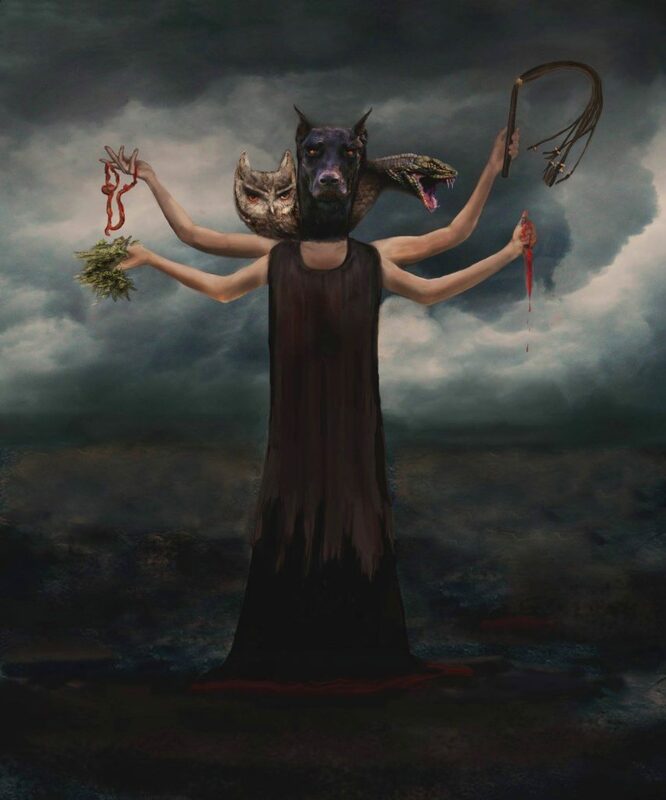 This depiction is after Jason Miller’s Hekate arcana, revealed to him directly from the Goddess Hekate. Here Brimo is considered as a facet of Hekate.